Pest Control West Palm Beach — Do Cockroaches Bite? If you live in the West Palm Beach, Delray Beach, Boca Raton, Boynton Beach, Jupiter, Lake Worth, or Wellington, you have probably seen a cockroach in the recent past, and we can only hope that it was not in your home. If it was, however, you know who to call. A common question that people search online almost as often as “pest control West Palm Beach” is “Do cockroaches bite?”, and if you have searched that yourself, the odds are that you suspect that you have been bitten by one. If you believe you have been bitten by a pest in your home, be sure to contact us at Native Pest Management, your source of cockroach control in South Florida. In today’s blog, we will be answering the common question of “Do cockroaches bite?” Continue reading to learn more! The short answer is yes. The long answer is you will most likely never be bitten by a cockroach in your life. Cockroaches are omnivores and mainly eat items such as decaying matter, paper, books, sweets, hair, and meats. Oh, and fortunately for us, they eat cockroach bait too! 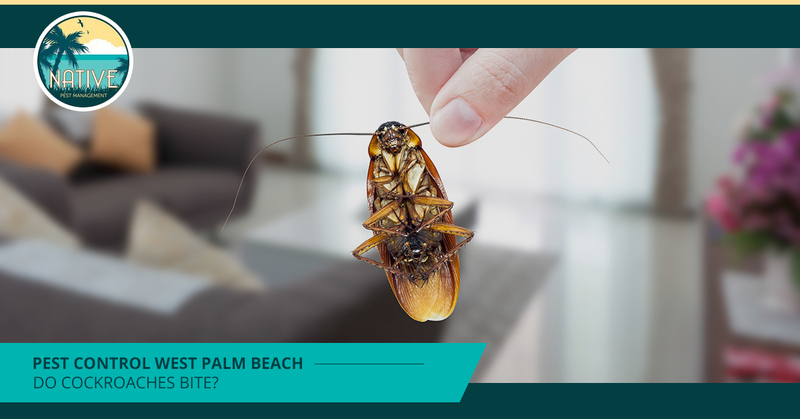 While cockroaches, also known as palmetto bugs in South Florida, can technically bite… we have never once had a customer tell us they have been bitten by one, and we have been servicing the coast in all directions up and down West Palm Beach for years! If you believe you’ve been bitten by an insect, there a few other pests that are more than likely the culprits. Before blaming roaches, look into the possibility the bite you are seeing is a result of spiders, mosquitoes, bed bugs, fleas, or mites, all of which are treatable by our team of pest control service providers. While we are technically pest experts, our team of West Palm Beach pest control professionals cannot diagnose your insect bites — although we would if we could. Even medical professionals often cannot definitively determine the type of insect bite based solely on an inspection of the bitten area of skin. If you are being bitten by insects, we recommend you contact us for a free inspection. During an inspection, our trained pest professionals can determine the type of insect that is infesting your home and that may also be biting you or your family members. Why Would A Cockroach Bite You? It’s fair to say you hate cockroaches. Don’t worry, the feeling is mutual. Cockroaches generally dislike our presence and will not go out of their way to bite you. History tells us that most reports of cockroach bites actually come from ships. One of many delicacies within the cockroach diet is dried skin flakes. When times get tough, roaches get hungry, and your dried skin can be an attractive option. If a cockroach bites, its intent isn’t to hurt you. They are just looking for food and are more than likely inadvertently attracted to food on you or next to you, something that can happen if you eat food in bed or fall asleep with food remnants on your hands or mouth. What Type Of Cockroaches Bite? 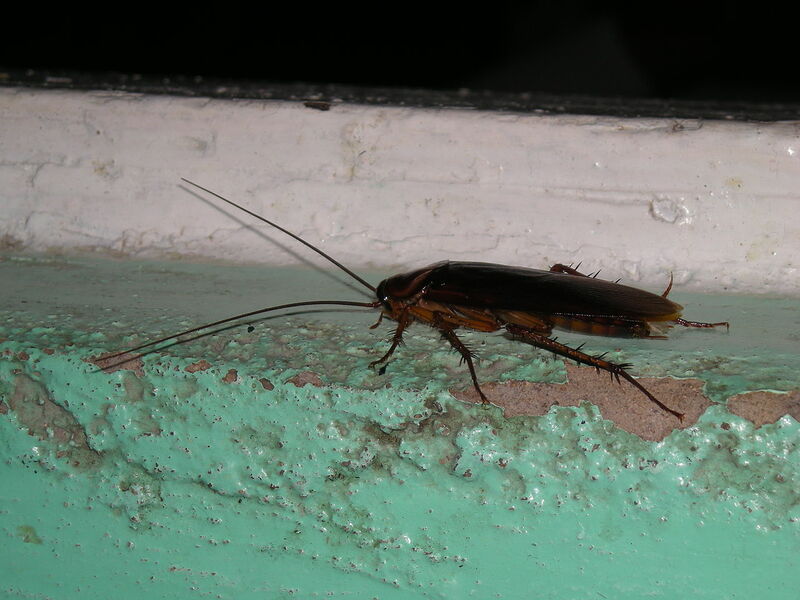 The most likely type of roach to bite you in South Florida cities like Boynton Beach, Delray Beach, West Palm Beach and other communities in the surrounding area would be the American cockroach, often called a palmetto bug or water bug. These are generally large roaches around two inches in length, reddish brown in color, and the adults have wings. 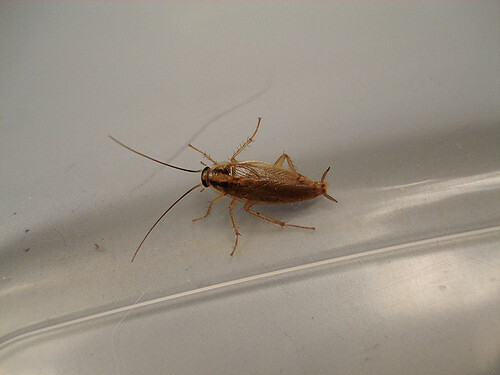 American cockroaches travel quickly and primarily live in sewers and outdoors. German cockroaches are another type of roach that is common in our tropical area that may also bite. They usually only live indoors and while smaller in size than American cockroaches, they reproduce more rapidly. While they are less visibly frightening than American cockroaches, they can often multiply into the hundreds or thousands inside a single home if not treated. At Native Pest Management we provide pest control services to West Palm Beach and its surrounding communities like Boynton Beach, Delray Beach, Boca Raton, Lake Worth, Jupiter, and Wellington — because we know that when there is a pest in your home, your primary goal is to get it out. Contact us at native Pest Management today for a free estimate or to schedule an inspection!